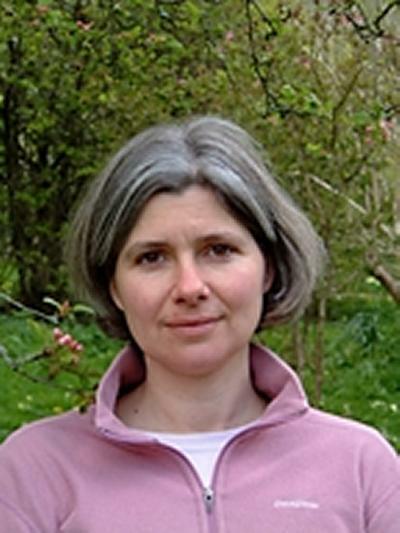 Dr Kate Schreckenberg is a Visiting Academic in Environmental Science within Engineering and Physical Sciences at the University of Southampton. After obtaining an undergraduate degree in Botany and a Masters in Forestry from the University of Oxford, I spent a year in Burkina Faso on a German aid project doing land use planning with local communities. This was followed by two years working on sustainable tropical forest management with UNESCO’s Man and the Biosphere Programme in Paris. Keen to determine whether the economic value of natural resources was enough to underpin conservation, I studied for a PhD at the School of Oriental and African Studies on the supply and demand of non-timber forest products in Benin. On completion of my PhD in 1996, I became a Research Fellow at the Overseas Development Institute in London, focusing on forest policy research. In 2009, a desire to balance my research with teaching brought me to the Centre for Environmental Science at the University of Southampton. I have written 25 peer-reviewed journal articles and over 70 other publications. In addition to research and teaching, I coordinate the Centre for Underutilised Crops and have advised the government on forests and climate change. Continuing to contribution to supervision of students. Schreckenberg, K., Awono, A., Degrande, A., Mbosso, C., Ndoye, O., & Tchoundjeu, Z. (2006). Domesticating indigenous fruit trees as a contribution to poverty reduction. Forests, Trees and Livelihoods, 16, 35-51. Newton, A., Marshall, E. M., Schreckenberg, K., Golicher, D., Te Velde, D. W., Edouard, F., & Arancibia, E. (2006). Use of a Bayesian Belief Network to predict the impacts of commercializing non-timber forest products on livelihoods. Ecology and Society, 11(2), 24. Ruiz-Perez, M., Belcher, B., Achdiawan, R., Alexiades, M., Aubertin, C., Caballero, J., ... Youn, Y. (2004). Markets drive the specialization strategies of forest peoples. Ecology and Society, 9(4). Clarke, C., Schreckenberg, K., & Haq, N. (2011). Fruit products for profit. (FAO Diversification Booklet; No. 16). Rome, IT: Food and Agriculture Organization of the United Nations. Schreckenberg, K., Camargo, I., Withnall, K., Corrigan, C., Franks, P., Roe, D., ... Richardson, V. (2010). Social assessment of conservation initiatives: a review of rapid methodologies. (Natural Resource Issues; No. 22). London, GB: International Institute for Environment and Development (IIED). Barrance, A., Schreckenberg, K., & Gordon, J. (2009). Conservation through use: Lessons from the Mesoamerican dry forest. London, UK: Overseas Development Institute. Brown, D., Schreckenberg, K., Bird, N., Cerutti, P., Del Gatto, F., Diaw, C., ... Wells, A. (2008). Legal timber: verification and governance in the forest sector. London, UK: Overseas Development Institute. Marshall, E., Schreckenberg, K., & Newton, A. C. (Eds.) (2006). Commercialization of non-timber forest products: factors influencing success. Lessons learned from Mexico and Bolivia and policy implications for decision-makers. (UNEP-WCMC Biodiversity Series; No. 23). Cambridge, GB: United Nations Environment Programme: World Conservation Monitoring Centre. Motukuri, B., Reza, S., Pandey, S., & Schreckenberg, K. (2011). Increasing the economic benefits derived by poor rural women producers from the incense sticks (agarbatti) value chain. In J. Mitchell, & C. Coles (Eds. ), Markets and Rural Poverty. Upgrading in Value Chains. (pp. 47-62). Ottawa, CA: Earthscan. Schreckenberg, K., & Mitchell, J. (2011). Who runs this place? The external enabling environment for value chain development. In J. Mitchell, & C. Coles (Eds. ), Markets and Rural Poverty. Upgrading in Value Chains (pp. 217-234). Ottawa, CA: Earthscan. Schreckenberg, K., & Bird, N. (2008). Developmental impacts of forest sector verification systems. In D. Brown, K. Schreckenberg, N. Bird, P. Cerruti, F. Del Gatto, C. Diaw, T. Fomété, C. Luttrell, G. Navarro, R. Oberndorf, H. Thiel, ... A. Wells (Eds. ), Legal Timber: Verification and Governance in the Forest Sector (pp. 247-253). London, UK: Overseas Development Institute. Davies, H., Hudson, M., O'Brien, L., Schreckenberg, K., & Valatin, G. (Accepted/In press). Essential but under-resourced: are new partnerships required to fund Britain’s urban forests?. Paper presented at EFUF 2016 : European Forum of Urban Forestry, Slovenia. Smith, H., Hudson, M., Eigenbrod, F., & Schreckenberg, K. (2015). Socio-economic factors affecting the spatial-temporal dynamics of charcoal extraction in Zomba, Malawi. Paper presented at PEP 20, .